The Magdalene Sisters is a 2002 Irish-British drama film written and directed by Peter Mullan, about three teenage girls who were sent to Magdalene Asylums (also known as 'Magdalene Laundries') homes for women who were labelled as "fallen" by their families or society. The homes were maintained by individual religious orders in the Roman Catholic Church in Ireland. Peter Mullan has remarked that the film was initially made because victims of Magdalene Asylums had received no closure in the form of recognition, compensation or apology, and many remained lifelong devout Catholics. Former Magdalene inmate Mary-Jo McDonagh told Mullan that the reality of the Magdalene Asylums was much worse than depicted in the film. 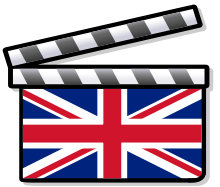 Though set in Ireland, it was shot entirely on location in Dumfries and Galloway, South-West Scotland. Set in Ireland, beginning in 1964, so-called "fallen" women were considered sinners who needed to be redeemed. The film follows the stories of four young women - Margaret (raped by her cousin), Bernadette (too beautiful and coquettish), Rose (an unmarried mother) and Crispina (an intellectually disabled unmarried mother) - who are all forced by their families or caretakers into the Magdalene Asylum. The film details the disastrous lives of the four girls whilst they are inmates of the laundries, portraying their harsh daily regimen, their squalid living conditions and the oppressive nature of the Catholic faith at the time. Each woman suffers unspeakable cruelty and violence from the Mother Superior, Sister Bridget, despite her gentle-faced appearance and outwardly soft-spoken demeanour. She is characterised as sadistic and almost inhuman at times, as conveyed through her merciless beating of Rose in full view of Bernadette, or when she mockingly laughs at Una as she hopelessly clutches at her fallen hair locks. The film also criticises the hypocrisy and corruption within the staff of the laundries. Sister Bridget relishes the money the business receives and it is suggested that little of it is distributed appropriately. Those who liken themselves to Mary Magdalene, who deprived herself of all pleasures of the flesh including food and drink, eat hearty breakfasts of buttered toast and bacon while the working women subsist on oatmeal. In one particularly humiliating scene, the women are forced to stand naked in a line after taking a communal shower. The nuns then hold a "contest" on who has the most pubic hair, biggest bottom, biggest breasts and smallest breasts. The corruption of the resident priest, Father Fitzroy, is made very clear through his sexual abuse of Crispina. Three of the girls are shown, to some extent, to triumph over their situation and their captors. Margaret, although she is allowed to leave by the intervention of her younger brother, does not leave the asylum without leaving her mark. When she deliberately asks Sister Bridget to step aside for her to freely pass and is sharply shot down, Margaret falls to her knees in prayer. The Mother Superior is so surprised, she only moves past her after the Bishop tells her to come along. Bernadette and Rose finally decide to escape together, trashing Sister Bridget's study in search for the key to the asylum door and engaging her in a suspenseful confrontation. The two girls escape her clutches and are helped to return to the real world by a sympathetic relative, their story optimistically ending when Rose boards a coach bound for the ferry to Liverpool and Bernadette becomes an apprentice hairdresser. Crispina's end, however, is not a happy one; she spends the rest of her days in a mental institution (where she was sent to silence her from revealing the sexual abuse she suffered at the hands of Father Fitzroy) and dies of anorexia at age 24. The epilogue to the film gives a brief description of the lives of four of the inmates after the girls leave the asylum by the late 1960s. It is noted that the last Magdalene asylum closed in 1996. The film received critical acclaim. As of 25 October 2008, the review aggregator Rotten Tomatoes reported that 90% of critics gave the film positive reviews, based on 144 reviews. Metacritic reported the film had an average score of 83 out of 100, based on 38 reviews — indicating "universal acclaim". This made it the twentieth best reviewed film of the year. The film appeared on several US critics' top ten lists of the best films of 2003. The film also received critical acclaim when it was premiered at the Venice Film Festival in 2002. There Mullan was awarded the festival's highest prize, the Golden Lion. ↑ "Interview with Peter Mullan". Movie Chicks. Retrieved 7 March 2008. It was initially because it was unfinished. They hadn't received any recognition, they hadn't received any compensation, and they hadn't been given an apology. And they remained devout Catholics. So initially, it was as a means to get their story in the public domain. ↑ Gibbons, Fiachra (7 February 2003). "In God's Name". London: The Guardian. Retrieved 7 March 2008. "It was worse in the Magdalenes, much worse than what you see. I don't like to say it, but the film is soft on the nuns," says McDonagh, who spent five years in one in Galway after being molested by a neighbour. She was spirited away early one morning by a priest and told she had "brought shame on her family". ↑ "The Magdalene Sisters - Rotten Tomatoes". Rotten Tomatoes. Retrieved 25 October 2008. ↑ "The Magdalene Sisters (2003): Reviews". Metacritic. Retrieved 25 October 2008. ↑ "The Best-Reviewed Movies of 2003". Metacritic. Retrieved 25 October 2008. ↑ "Metacritic: 2003 Film Critic Top Ten Lists". Metacritic. Archived from the original on 4 August 2008. Retrieved 25 October 2008.